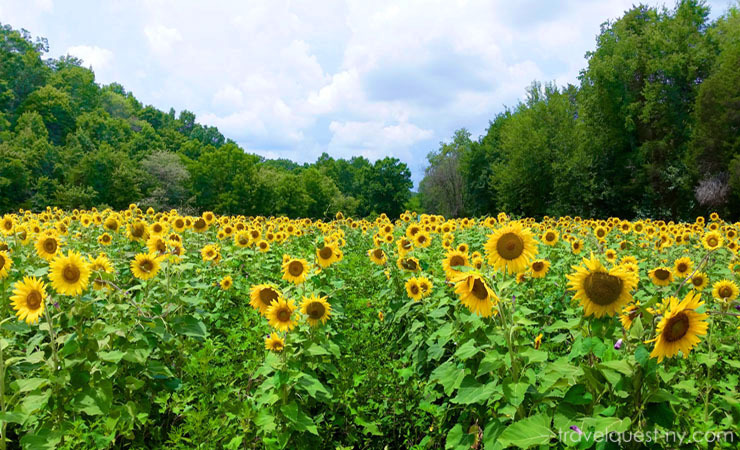 After the Knoxville News Sentinel announcement this fields of bright yellow sunflowers have become one of the major tourist attractions. 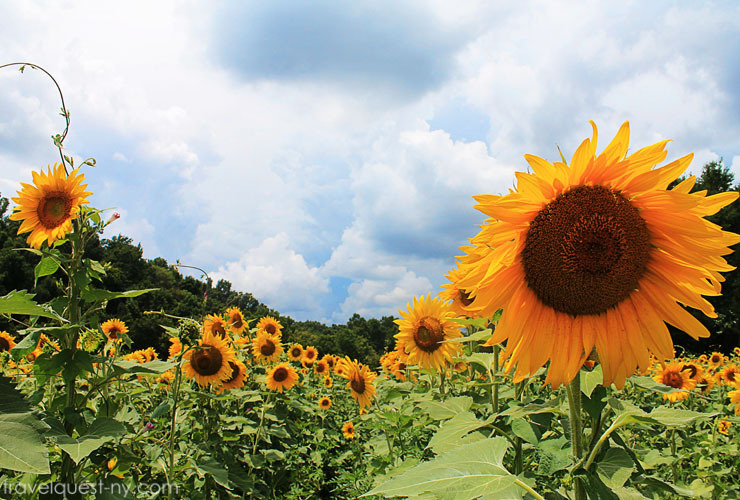 Hundreds of folks visit the East Tennessee to see the sunflowers display. This year, the sunflowers are planted in a new location. Over 400 acres of land managed by TWRA at Forks Of The River Wildlife Management area, located on McClure Lane south of Ijams Nature Center, Knoxville TN. It is free to the public. 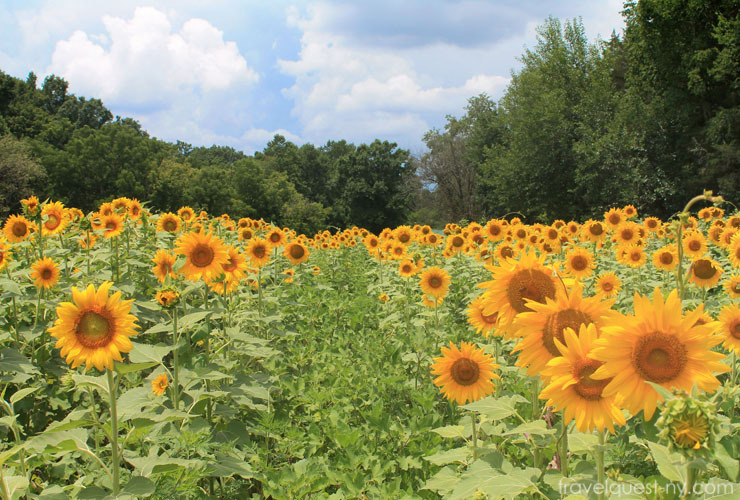 The first few weeks of July you'll find the fields carpeted with towering, bright yellow sunflowers. It's simply spectacular! There are many fields along the way, we stopped and took photos at some fields. 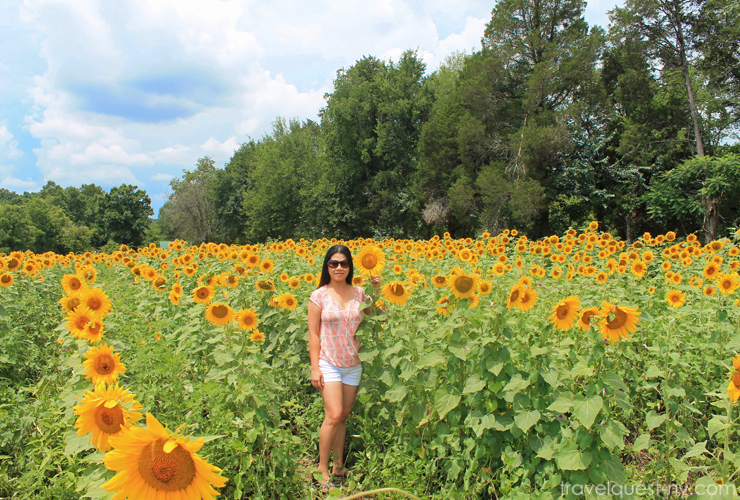 Have you ever been to sunflower fields in East Tennessee? Do you like it there? Share your experience with me in the comments ! Ever since I discovered that these fields existed not far from our home. I had been waiting patiently all summer for the flowers to bloom. When it finally happened, we spend about an hour and half to see these golden beauties for ourselves. I wish I didn't live so far away. I would definitely visit the sunflower fields. Seeing all these gorgeous sunflowers makes me want to plant some next year. You can't help but smile when you see them. oh these are just so gorgeous! i've been shocked at the number of sunflowers here in Colorado..they just make me smile! My husband who is a photographer would never leave this field! He would have so much fun taking pictures. It is beautiful. These fields are gorgeous! I love sunflowers and would love to see these! How beautiful are these pictures! WOW This Is Amazing I Would Love To Run Through Those Fields My Girls LOVE Sun Flowers Too!! You have the most gorgeous blog and photos! I'm a huge fan of sunflowers, and wish I could jump into the photos. Thanks for sharing! Wow, what a beautiful sight! Those sunflower fields are so gorgeous. I would be taking a ton of pictures of that scene! I wish I had sunflower fields near me. Sunflowers are one of my favorite types of flowers. I would love to live near a sunflower field like this one. My sister absolutely loves sunflowers. I will admit, I'm pretty fond of them too. So pretty. Wow! Now this looks so magical. I have never been to a sunflower field but I would love to go there and take some wonderful pictures. Oh what a lovely way to spend some time outside. Those sunflowers are so pretty! How bright and lovely that field looks. My son's girlfriend loves sunflowers, she'd love to see that place. What a beautiful field of sunflowers, I love them so much. 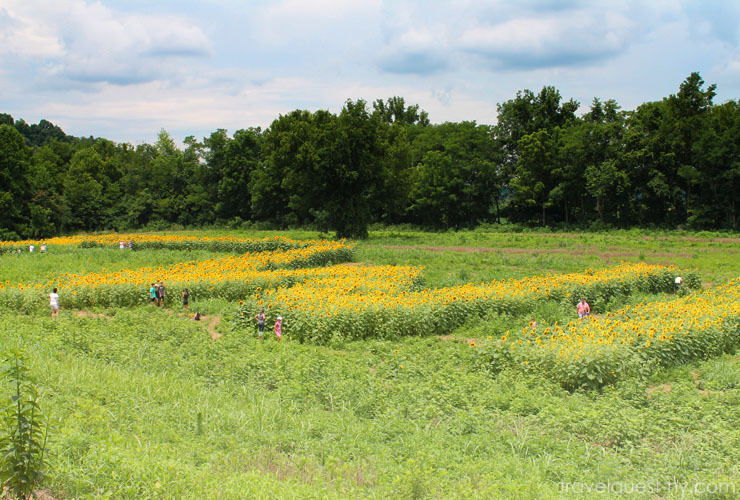 Getting outside is great but experiencing a field full of sunflowers? Perfection. Absolutely gorgeous, I've never been. Oddly enough I'm headed to Tennessee in the morning. I wish I was close by, I would go check them out. Lovely, lovely flowers! Just looking at them would be enough to brighten your day. Thanks for sharing your experience. We won't be having any scheduled trips to Tennessee but I will keep this in mind if we do. 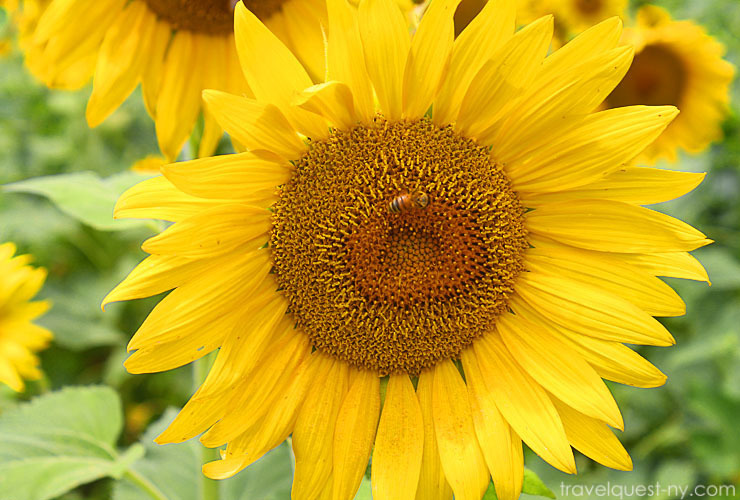 The sunflower is probably one of the happiest plants on Earth! If I ever need a pick me up, this would definitely be where I would be headed. Beautiful pictures! We actually have a sunflower field a few miles away and I've been dying to take my girls! I am definitely going this weekend. These fields are dazzling! I adore sunflowers and would love to see these!... what a wonderful sight!